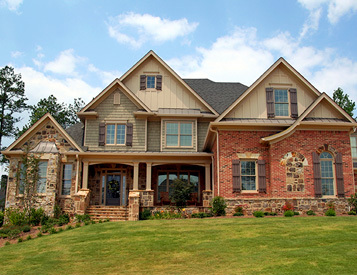 Trust the St. Louis Roofing Professionals with Over 21 Years of Expertise! Trust our roofing experts to install a roof that not only complements your home, but also protects it from harsh weather. 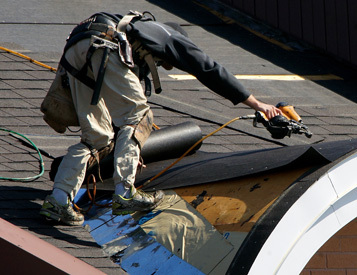 Keep your roof in tip top shape by requesting thorough repairs by our certified professionals! 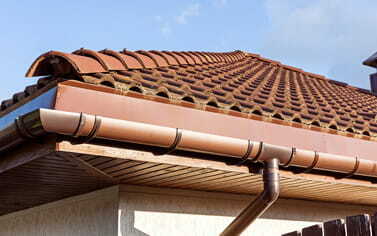 Keep your roof clear of debris with our gutter services! We offer installations and repairs to keep your home free of water. "My roofing looks great and I've told everybody about the great experience I had with Kirkwood Roofing." Skylar M.
Kirkwood Roofing is dedicated to serving the roofing needs of homeowners, businesses and contractors with quality workmanship and hands-on customer service. From apartment complexes and shopping centers to single-family residences, Kirkwood Roofing provides roofing services for any type of project. 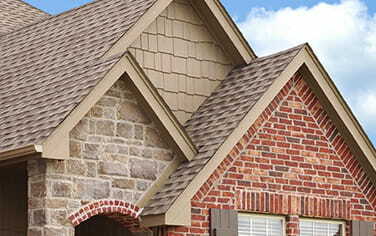 We are a locally-owned and operated roofing company with highly experienced crews. We treat your property with the same care and attention as if it were our own. 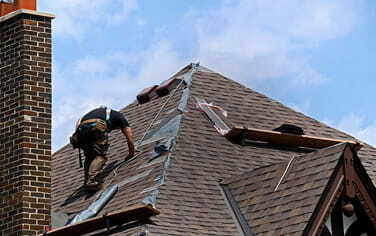 As a full-service roofing contractor, we are licensed and insured for your protection. At Kirkwood Roofing, we put the customer first every time. All of our locations are permanent and staffed by employees that are local residents. They are committed to providing our customers with the service of a small local contractor and the stability of an established regional operation. Our crews, service technicians, field representatives and office personnel are trained and tested to ensure quality, honesty and accountability. Nobody knows St. Louis roofs and gutters like Kirkwood Roofing! We offer only the best materials with the most options for color and style. When replacing an old roof, building a new roof or installing gutters, we take the time to meet with you and work out every detail so your roof work not only meets but exceeds your expectations. We offer great workmanship warranties, as well as provide materials with the best manufacturer's warranties in the industry. We want your roof and gutters to last for the long haul. Since our crews have years of experience and continuing education in the industry, we can accurately identify sources of leaks and solve each problem. At Kirkwood Roofing, the proof is in the finished product. Since no two roofs are the same, we understand that each will have its own peculiarities. With our knowledge of roof engineering and architecture, we have the creative ability to customize components to repair issues that may have plagued your roof since the beginning. Additionally, our replacement roofs, gutters and repairs will keep your roof functioning as it should for years to come. To learn more about our roofing services or to request your free roofing estimate, contact the professionals at Kirkwood Roofing today!